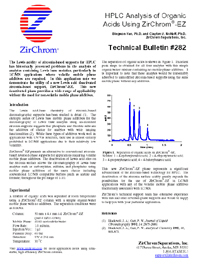 A product bulletin introduces ZirChrom®-EZ - ZirChrom's newest reversed-phase column. ZirChrom®-EZ provides the traditional unique selectivity of zirconia while facilitating the buffer selection process in the pH range of 1-10. This new ease-of-use capability, along with its orthogonal selectivity for pharmaceutical compounds, makes ZirChrom®-EZ well suited for LC/MS applications. 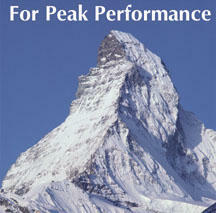 ZirChrom®-EZ is available in 3, 5, 10 and 25 micron particle sizes. To place an order, or for more information or copies of our Technical Application Notes, please contact us at 1-866-STABLE-1.